As one of the main streaming music services around the world, Apple Music has met the all needs of the streaming media service. In order to make all music everywhere, like traveling, walking, exercising, etc, sync Apple Music to devices like iPhone seems more important. As some people asked: How do you sync playlists, favorites, etc between devices in the new Apple Music app? 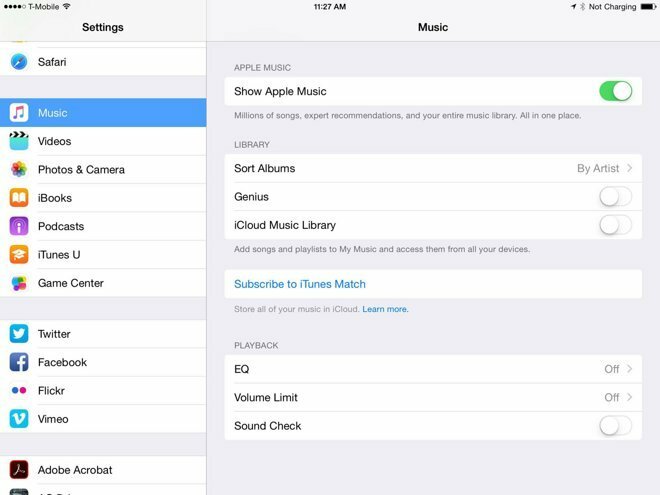 Here this article will show 2 easy ways to sync Apple Music songs to iPhone for sync or backup. You can save music from Apple Music to iCloud Music Library and share them to your other equipments authorized by Apple ID account and you just need to sign in to the same account on all your devices without manually sync your songs, albums and playlists. If you are an Apple Music member, you can turn on iCloud Music Library, and you can find all music on your multiple devices. Or you can download the purchased music from your Mac or iPad, the downloaded songs will also be synchronized to your iPhone or other devices for offline listening. 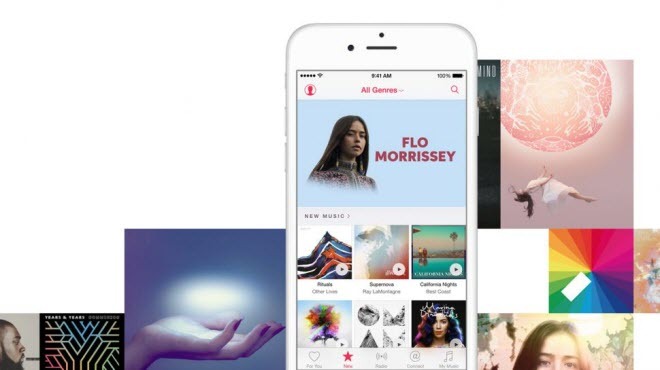 Apple Music is all about streaming. You pay a flat fee to unlock access to Apple Music’s entire catalogue, but you don’t actually own the music due to the DRM protection. The files don’t live individually on your devices; you’re instead just listening to tracks stored remotely that are owned by Apple. So if you want to sync Apple Music songs to your iPhone without DRM restrictions and own them actually, compared with iCloud Music Library, NoteBurner Apple Music Converter is your another alternative. 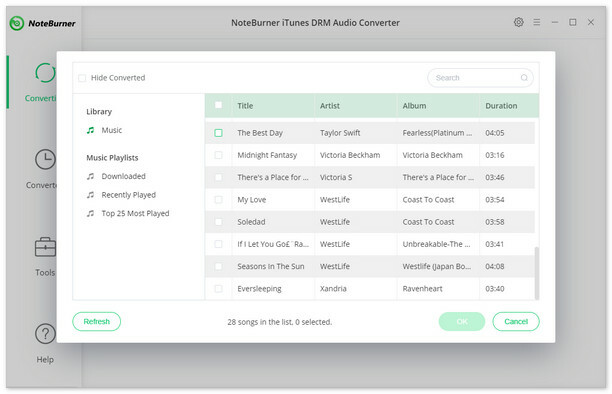 NoteBurner Apple Music Converter ( For Windows | For Mac) is a professional and powerful DRM removal to convert DRM-ed Apple Music to MP3, FLAC, AAC, WAV for playing offline on your iPhone SE, iPhone 6S/6S Plus, iPad Pro, iPod, Zune, PSP, MP3 player, etc. And it also can convert iTunes downloaded M4A, M4B audiobooks and Audible AA & AAX audiobooks to MP3, M4A, WAV or M4B. 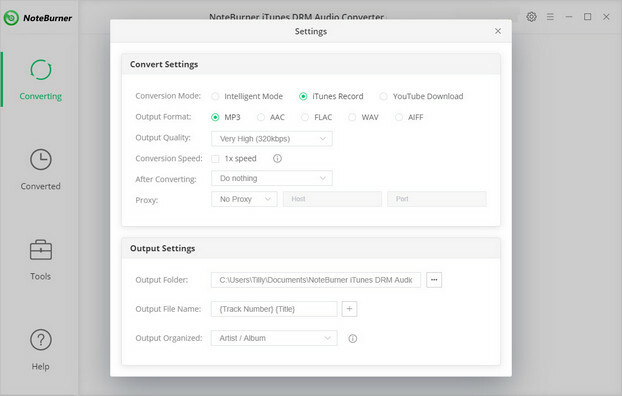 iTunes DRM Audio Converter records audio files at 10X faster speed, and after converting, the ID Tags will also be saved. 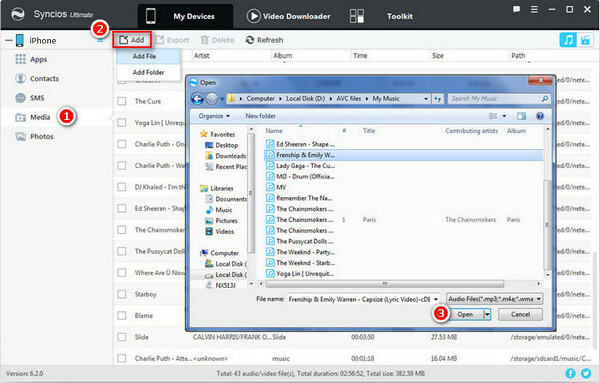 Launch iTunes DRM Audio Converter on Windows and then click "+" button on the left top corner or “Click Here to "Add Audio" on the bottom of the main interface. You can add your favorite Apple Music songs, albums or playlists downloaded. Click the "Setting" button on the top right corner, and then there pops-up a window which allows you to set output path and output audio format (here you can choose MP3 as output format). In additon, you are able to set the output audio quality up to 320 kbps. When all the setting done, click "Convert" button to start converting. After conversion, click the "History" button in the main interface to find the output audio. After finishing converting, you can use iTunes or Syncios iPhone Manager to transfer these files to your iPhone. Download and install Synciso iPhone Manager on computer, then run it. Connect iPhone to computer with USB drive. Transfer converted Apple Music songs to iPhone.